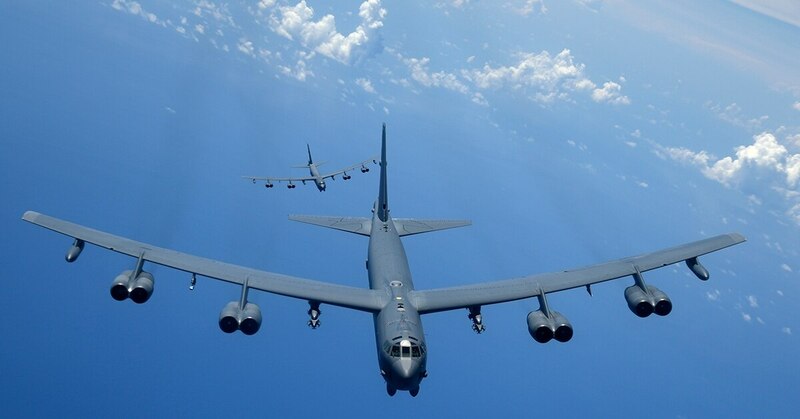 WASHINGTON — The U.S. strategic bomber program plays a vital role in U.S. nuclear and conventional posture, providing both penetrating and standoff capabilities that allow the U.S. to hit targets almost anywhere in the world. But as the Air Force expands from 312 to 386 operational squadrons — planning to increase the bomber squadron from nine to 14 — how can the service keep costs within reason? A key to keeping down modernization costs will be the force’s ability to field systems that can easily be updated as new technology develops, according to Gen. Timothy Ray, commander of Global Strike Command. Others suggest that looking at the unit price for bombers is deceptive and does not allow the Air Force to address its critical modernization needs. This sentiment was echoed by retired Lt. Gen. Bob Elder Jr., who feels the public and some military members do not appreciate the active role bombers play in defending the U.S. As busy as these bombers are, Edler said, “it’s a bargain” for how much the Air Force pays for them. “People will say the new enterprise is going to be too expensive, so don’t keep it. I don’t agree,” Ray said, adding that a more competitive approach will enable the Air Force to drive down procurement and modernization costs. “I have got to know our competitive nature of our approach will draw the talent from industry; or if I’m not quite certain with a technical capability or the capability is so far advanced I can’t draw the talent from industry, now I find myself with an important issue,” Ray noted. In regard to ensuring the service can get the funding to grow its squadrons, Ray added: “Where you drop cost down and have a rapid modification capability or a relevant force for an extended period of time, then you begin to tell a more complete story,” which he explained should help dollars keep flowing into necessary programs.